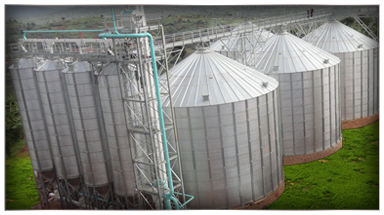 Set high on a hill, deep in the Burundi countryside, is the Minolacs flour mill. 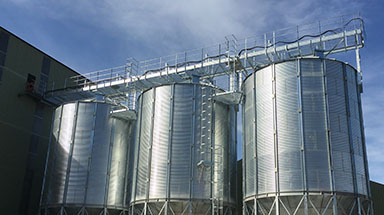 The customer needed to guarantee that they were supplying flour of the highest quality to this remote part of the country. 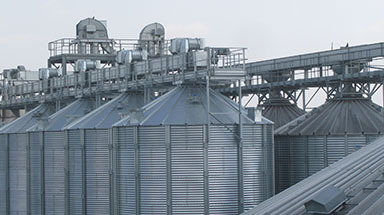 We worked very closely with Buhler to ensure that this project was delivered on time and to budget. 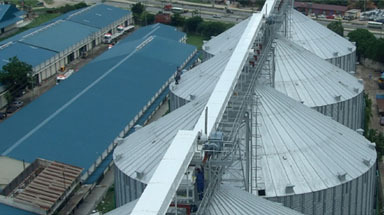 We supplied all elements of the project which included the silos, catwalks, machinery tower, sweeps, discharge augers and aeration systems. 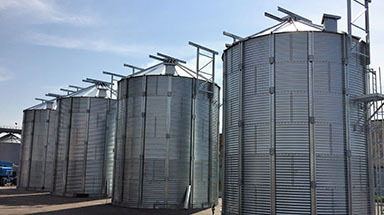 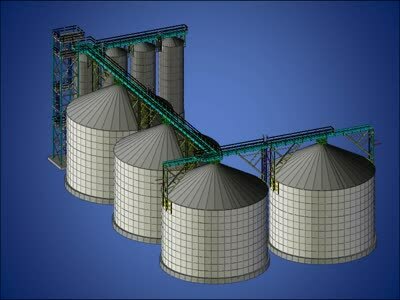 The grain storage project is split into two sections; the main flat bottom silos and the day bin hopper bottom silos. 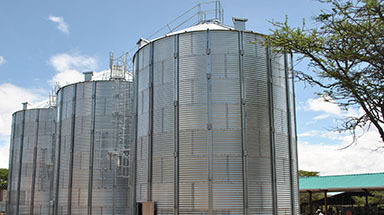 The flat bottom silos are 17 metre diameter by 10 rings with a unit storage capacity of 2,300 tonnes of wheat. 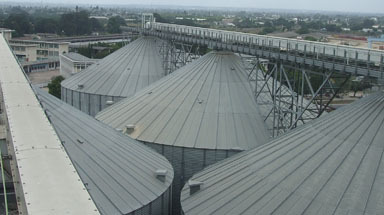 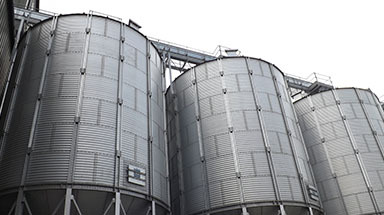 The hopper bottom silos are 4 metre diameter by 10 rings each holding 135 tonnes of wheat. 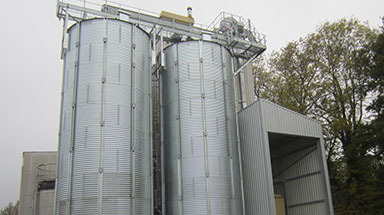 The hopper silos were designed specifically for this project and have a gate clearance of 3 metres which is to allow for a metering system attached to the cone outlet. 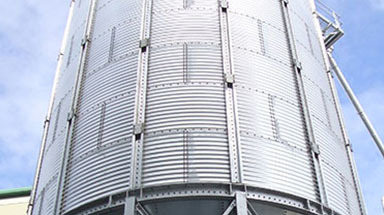 As well as our standard catwalk system, we manufactured the machinery tower. 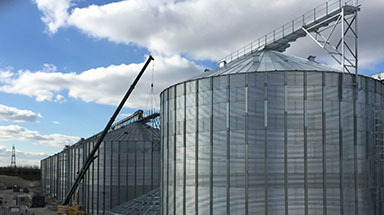 The tower is a 3 metre square tower, 21 metres tall, with two main floors for access to the top catwalk systems as well as support and access to the cleaner and elevator head.